What’s our next chapter in America’s story? IMPERIALISM! | AMERICAN HISTORY RULES! WHEN SHOULD THE UNITED STATES GET INVOLVED IN THE AFFAIRS OF ANOTHER COUNTRY? We will debate American imperialism in our next class, and you will have an assigned ares for your focus. You should come up with arguments SUPPORTING and OPPOSING American involvement in your specific area – your side will be determined t the start of our next class. The best debaters know the arguments of the opposite side. The more prepared you are, the better your argument will be! 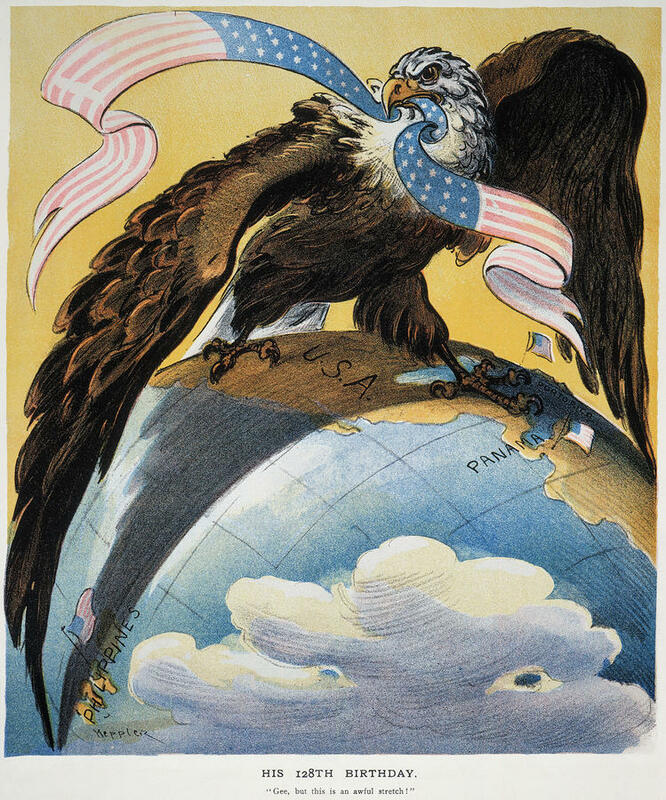 Here are some chosen resources dealing with American imperialism – you can use others as well. Primary sources are always HUGE! Want to review the videos from class?